The Government has replaced Planning Commission with a new institution named NITI Aayog (National Institution for Transforming India). The institution will serve as ‘Think Tank’ of the Government-a directional and policy dynamo. 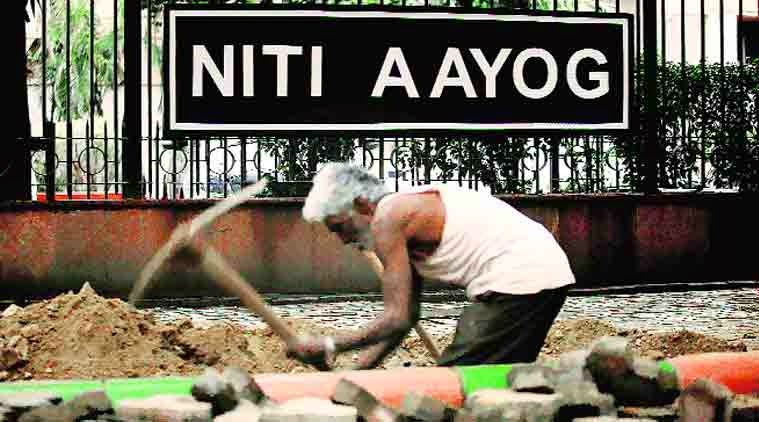 NITI Aayog will provide Governments at the central and state levels with relevant strategic and technical advice across the spectrum of key elements of policy, this includes matters of national and international import on the economic front, dissemination of best practices from within the country as well as from other nations, the infusion of new policy ideas and specific issue-based support. To evolve a shared vision of national development priorities, sectors and strategies with the active involvement of States in the light of national objectives. The vision of the NITI Aayog will then provide a framework ‘national agenda’ for the Prime Minister and the Chief Ministers to provide impetus to. To foster cooperative federalism through structured support initiatives and mechanisms with the States on a continuous basis, recognizing that strong States make a strong nation. To develop mechanisms to formulate credible plans at the village level and aggregate these progressively at higher levels of government. To ensure, on areas that are specifically referred to it, that the interests of national security are incorporated in economic strategy and policy. To design strategic and long term policy and programme frameworks and initiatives, and monitor their progress and their efficacy. The lessons learnt through monitoring and feedback will be used for making innovative improvements, including necessary mid-course corrections. To provide advice and encourage partnerships between key stakeholders and national and international like-minded Think Tanks, as well as educational and policy research institutions. To create a knowledge, innovation and entrepreneurial support system through a collaborative community of national and international experts, practitioners and other partners. To offer a platform for resolution of inter-sectoral and inter-departmental issues in order to accelerate the implementation of the development agenda. To maintain a state-of-the-art Resource Centre, be a repository of research on good governance and best practices in sustainable and equitable development as well as help their dissemination to stake-holders. To actively monitor and evaluate the implementation of programmes and initiatives, including the identification of the needed resources so as to strengthen the probability of success and scope of delivery. To focus on technology upgradation and capacity building for implementation of programmes and initiatives. To undertake other activities as may be necessary in order to further the execution of the national development agenda, and the objectives mentioned above. Leveraging of India’s demographic dividend, and realization of the potential of youth, men and women, through education, skill development, elimination of gender bias, and employment. Elimination of poverty, and the chance for every Indian to live a life of dignity and self-respect. Reddressal of inequalities based on gender bias, caste and economic disparities. Integrate villages institutionally into the development process. Policy support to more than 50 million small businesses, which are a major source of employment creation. Safeguarding of our environmental and ecological assets. Prime Minister of India as the Chairperson.